If you’ve always wanted to know your maize from your barley, now you can with our Ale Tasting Masterclass packages; perfect for improving your knowledge of local and world famous beers! All you need to do now is gather a minimum of six friends (it’s no fun with less) and give us a call or make an enquiry using the form below and we'll be in touch. Each session will last 90 minutes and provides the chance to taste and discuss up to eight different beers and ales of your choice with our masters of beer. Rejoice discerning British beer drinker, for these are incredibly exciting times! Brewers are embracing different ingredients, experimenting and innovating to create some rather marvellous flavoursome concoctions in their mashtuns! Britain is the envy of the brewing world having birthed a wide variety of styles from porter to IPA. Immerse yourself in the history of British brewing that pre-dates the arrival of the Romans. 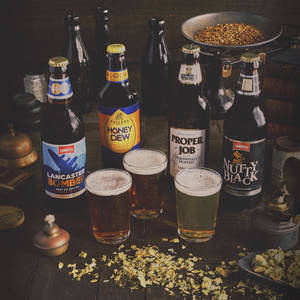 Modern British brewing has gone from strength to strength, and our extensive selection of British beers and ales brings you the best the country has to offer. The consumption of beer spread through Europe from Germanic and Celtic tribes dating back to 3000 B.C. With the rise of Christianity, beer drinking and brewing increased immensely due in part to the monks and monasteries which utilised the beers for their livelihood. Explore how the brewing nations of Germany, Belgium and the Czech Republic compare with our own as you sample some the best of ales from all across Europe. 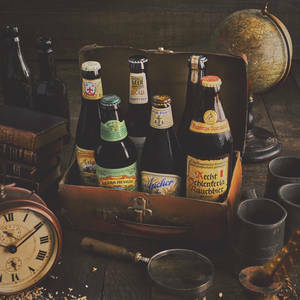 The History of Ale will take you on a thought provoking journey back in time to some of the most primitive styles of beers, sampling ales that were brewed before we had help from modern technology. 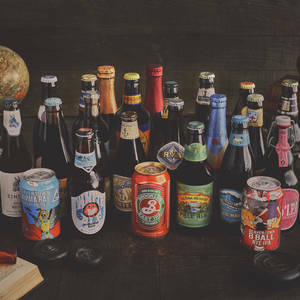 You’ll then venture through the spice trade routes, and the geographical history of beer styles, finishing with the cutting edge modern beers that are pushing the boundaries of beer with science. It will be a journey like no other! 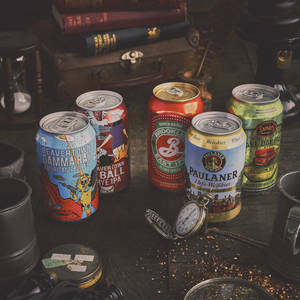 Defining ‘craft beer’ is a challenge because all beer requires some level of craftmanship and the word is used by many people with many meanings. Most people understand it as beer brewed by hand on a small scale and packaged in quirky looking cans. Our beer guru will guide you through some of the best, hand-picked beers that represent craft to them. Whatever your enquiry, message our beer masters below and we will be in touch with you soon.